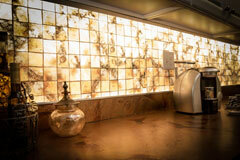 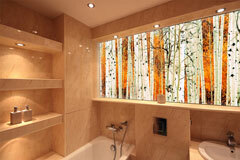 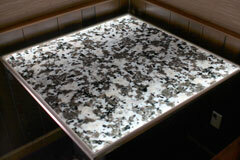 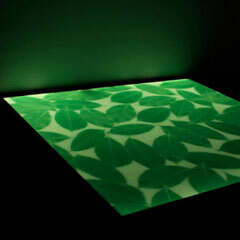 Lumisplash tabletop laminates can transform an ordinary piece of furniture into a functional, illuminated work of art. 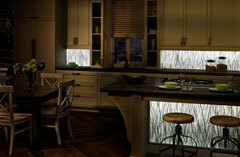 Unique as they are beautiful, these laminates provide soft light that may be dimmed to serve as either task or ambient light. 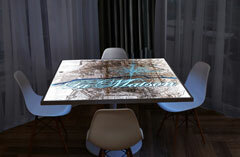 Lumisplash tabletops utilize our multilayered panel system + graphics + edging system. 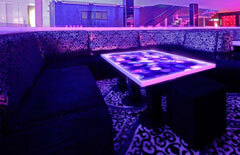 Our welded and powder-coated edging systems create a flawless, complete look. 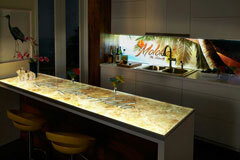 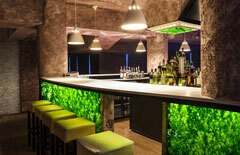 Bar tops and counters can utilize custom mouldings to create various effects. 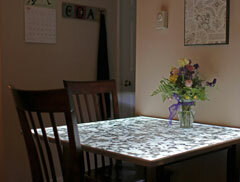 When running electricity is not feasible, use our rechargeable battery system to supply light for 8-10 hours.